The National Enquirer is photographed at a convenience store on February 8, 2019, in New York City. 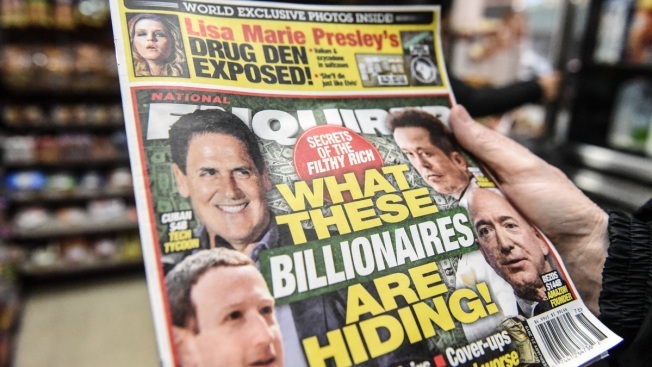 Jeff Bezos, CEO of Amazon is accusing the David J. Pecker, publisher of National Enquirer, the nations leading supermarket tabloid, of extortion and blackmail. 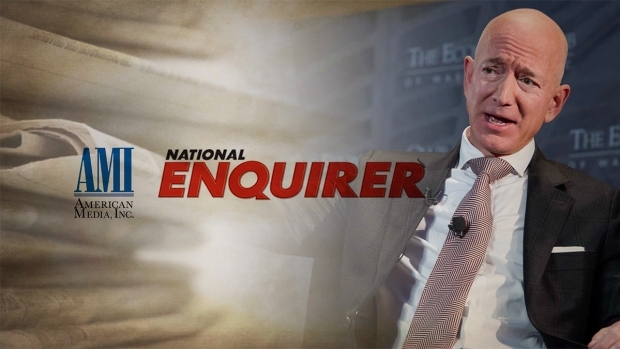 Amazon CEO Jeff Bezos says the National Enquirer tried to blackmail him by threatening to publish personal photos. 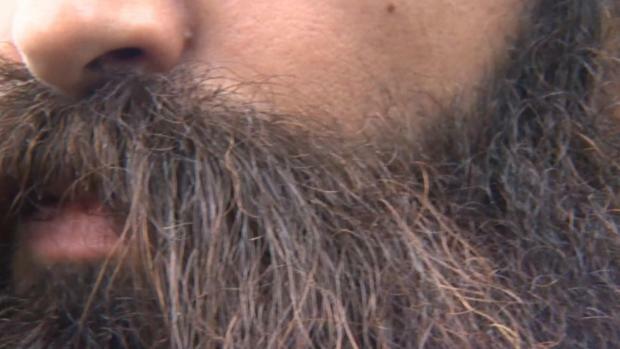 He outed the tabloid in an explosive online post. Associated Press writers Michael R. Sisak and Jim Mustian contributed to this report.